The Weekly Photo Challenge theme this week is ‘Abandoned’. The scope here is endless, open as always to individual interpretation. It could be about buildings, ruins, wastelands, or things that are overlooked. It could also be about people. I knew what I would write about if it were a writing challenge but then it came to me immediately which photographs I wanted to share and so the decision was easy this time. 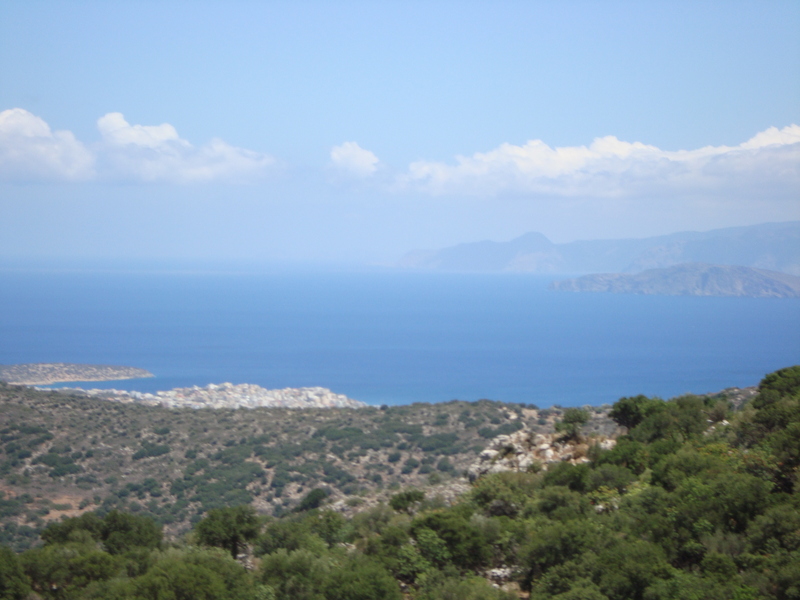 In 2010, Hubby and I visited Crete for our first time (we have been twice). Hiring a car is the way to go with so many delights to explore away from the tourist trail. Not only hidden coves that open up at the end of narrow, dusty roads but desolate ruins from an ancient civilization to be discovered in the most deserted of places. It was during one of our drives off the beaten track that we came across some ancient Minoan ruins which date back as far as the 27th century BC. I share here some of my photos of these ruins, together with a short piece I wrote a couple of years ago for a writing assignment. For this assignment, I had to describe a place to the extent that others reading it would feel as if they were there so I wrote about these ruins of an ancient Minoan civilisation, reminded as I was by stirred-up memories of a place which was to me so beautifully enthralling in its desolation, in its abandonment. I hope you enjoy my take on this week’s challenge. The dusty road was narrow and meandered along the edge of the valley below taking us higher with every curve and bend as we drove, the tyres clinging to the road’s edge as if for dear life. Inside our hire car the cooling air conditioning made us forget about the intense heat burning outside. Olive trees growing on the other side of the road twisted their branches towards each other providing shade for small herds of wandering mountain goats. We reached the top of the road and parked. Getting out of the car we were reminded of the heat as it instantly blasted away all memories of cool comfort. Brown, bone-dry dirt crunched beneath our sandals as we walked towards the entrance of the ruins of an ancient Minoan Palace, our destination. Lush grape vines grew along both sides of a small path and after a short walk they fell away, revealing in the distance a stunning view stretching out beyond and far below the palace ruins. A turquoise sea, sparkling like thousands of diamonds in the shimmering sun just as it had done so long ago, as if declaring itself to be a royal mantel for Neptune himself. The contrasting green of the hills cascading down to the yellow sand far below gave such colour as to have inspired long ago stories of Minoan legend and its art, left behind for us to marvel at today. Transfixed as we were with the beautiful vista, we turned away and began to explore the ruins all around us. We climbed over crumbling foundations and broken walls and could see where once there had been private living quarters, a communal meeting area, a store-room, evidence of a kitchen and even a cistern and a well. Ancient irrigation! There too, the King’s bedroom! An entire community of people had lived here thousands of years before us, working, marrying, raising families, worshipping, dying. We stood still in the quiet, fierce heat trying to imagine what life must have been like here, so long ago. This paradise provided an ancient, Cretan people with fresh fish, olives, grapes, nuts, fruits and vegetables on the vine, plentiful and abundant and they would not have suffered bitter cold. It seemed an idyllic existence, and for a time it would have been. This paradise would have been lost to the Minoans of course when the Turks invaded and the once beautiful, untouchable Palace was destroyed and left to rot. But the ruins cried out day and night for an eternity until someone discovered them and they were once again given to the pleasure of people walking among them and admiring them, even if now in their fallen state. They gave testament to a proud, peaceful race and we were privileged to have been shown a glimpse of a long-ago but not forgotten way of life. The ruins were where they had always belonged and they were happy. Hiding in the trees, cicadas chirruped their grating, summer song interrupting our imaginings and reminding us of the present. It was time to say goodbye, and we turned to walk back along the path with grateful hearts. As a final note, it was nice to see that these ruins weren’t totally abandoned; these turtles were certainly at home swimming about in the ancient wells and cisterns! To find out what others are up to with this week’s photo challenge click on the orange ‘post a week’ button on my sidebar. 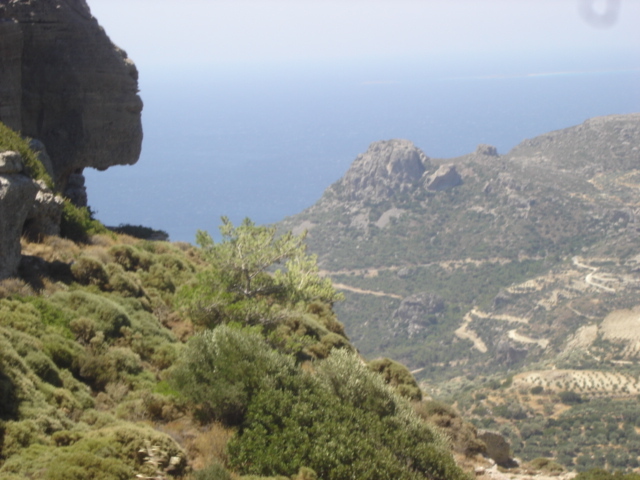 This entry was posted in Creative Writing, Photos, Travel, Weekly Photo Challenge and tagged Ancient civilisation, Creative writing, Cretan, Crete, Minoan Ruins, Photos, Photos of Ruins, postaday, travel, Turtles, Weekly Photo Challenge. Bookmark the permalink. I just read a review of Natalie Haynes’ new book. She was a classicist before becoming a comedian/writer and her book is based on Greek myth. I don’t know that much about classical civilisation, have never been interested, but since I read about ancient philosophy and listened to Arcade Fire’s Reflektor, I have realised what a rich world and how so many things about the ancient world call out to us still. Seeing these pictures in such a beautiful environment, together with your musings on what life these scenes have been the backdrop to was very powerful. I misinterpreted this on first reading. I thought you were going to describe living here as a Minoan when it was a powerful city! Ahh, thanks so much Jill, I’m really happy to know that you liked the write-up as well as the photos! It was one of my first writing assignments that I did for the creative writing course I started three years ago! Love the turtles! Also loved a trip to Crete, taken in the late 1980’s, would love to go again. This was such good post that it almost made me jealous that I haven’t been to Crete. Nicely done, Sherri. Back, indeed. After my second night in a row of 10 hour sleeps, it appears as if I have shaken off the effects of the red eye flights back home. I will be working from home for the foreseeable future. Thanks, Sherri. I did have a wonderful time. Excellent photos and writing, Sherri. I feel as if I was there with you. I could hear the birdsong and feel the heat and smell the arid dirt beneath my feet. The hairpin curves and the driving had me holding my breath until you stopped and got out of the car. Whew! You a great flair for description. 😀 😀 😀 . Wow Bulldog, I’m amazed, goodness….thank you so much…. The scenery shots were beautiful, Sherri, but the ruins pulled me in. Wonderful shots. And then the turtles! Oh, the turtles…amazing. Thanks for the pictures and the descriptions that included me on this adventure. The turtles were a delight, as I said to Jill, we stood and watched them for ages, standing there in the blistering heat (but a dry heat!) absolutely entranced by their swimming antics! The ruins had the same effect, I couldn’t get enough of them. I love these, Sheri, as I’ve always been interested in history and love the stories of Theseus and the Minotaur. Thanks for taking me along to Crete. I’ve seen the Acropolis and other ruins in Greece, but haven’t ever been to Crete. What beautiful images and text. You describe the scene so well; I could feel the dry heat myself. The turtles are adorable, especially the photo where they are seemingly swimming in a circle together. I hope to visit Crete one day. This is a lovely take on the challenge, Sherri. I’ve specifically avoided this one because I hate neglected, unloved buildings, but yours are definitely not that 🙂 It takes me right back to Greece. I remember dragonflies hovering over a very similar pool. I see you had to fight your way through the crowds then, Sherri! What a wonderful place. Fabulous photos and a very good take on the challenge – your writing assignment fits right in and we get the sense of being there right along with you. We’ve never been to Crete but it definitely looks like the sort of place we’d like – old ruins feature a lot in our travels. Husband is especially partial to Roman ruins hence a marathon once at Pompeii and he has plans for a mosaic floor in Sicily, apparently. That’s the thing Jenny, we were the only ones there! The ruins are protected now but they are not touristy at all, unlike Knossos by the airport which, although fascinating in it’s own right, and of course famous for the Minotaur, gets packed out, so it was lovely to be able to walk around this ruined palace so unhurriedly and take in the silence while doing so. Lucky you, wonderful place isn’t it? I love seeing ruins. It’s fascinating to see how people of the distant passed lived and the Minoans look they might have been quite a civilised society. I bet those stone homes buried in the hill offered some respite from the heat too. Oh me too Rachel and yes, from what I’ve read up on the Minoan culture they were very civilised indeed and this location was absolutely idyllic. They had a bounty of produce from the sea and the land and despite the intense summer heat would have had plenty of shade with the trees and the cool buildings. It was so peaceful there and I was thrilled to be able to spend so long and be so unhurried as we walked around, able to take it all in on every level. This is wonderful! I especially love the turtles! So timely since I am working on another sea turtle drawing and am reading about all kinds of turtles like crazy! 🙂 By the way, I sent you an e-mail several days ago about the painting of the ocean. Did you get it? Hi Patsy, and thank you very much, so glad you enjoyed it. The turtles have been a big hit by the looks of things, 😉 Oh yes, that’s right, I remember seeing that on your FB page, I can’t wait to see it! These are powerful pictures. They really conjure the images of life so long ago. I can imagine the last people to call the mountain home. And the turtles are so cool. the turtle are so cute. I really want to go to Crete. Way back in the day I wrote a paper on the palace there and now I can’t remember what my thesis was–seriously my mind is going. Thanks for sharing your photos. The closest I got to the east side of Crete was St. Nickolas. I had know idea that there were ruins to see on that end. I loved living on Crete. The local people are so hospitable. Hi Glynis, was that Agios St Nickolas? We stayed not too far from there. We just came across these ruins while driving along this beaten old track so it was wonderful to discover them and I’m very happy to be able to share them here now 🙂 Yes, I agree totally, the people are just lovely. What an eerie feeling these ruins must have given you! It’s always interesting to imagine what the places that are now abandoned once looked like. I love ruins Sherri – whenever we travel, if there are ruins to be visited, I’m there! It’s the sense of history of course, of imagining what has happened here before and you conjured that beautifully with your writing. I also like the turtles as they show the evolution of how the place has been inhabited over the years. Lovely photos and I love the way you’ve presented them in a kind of collage, which is very effective. Well, haven’t you got around a bit Sherri Poppins? You seem to have been everywhere that I would love to have been – I’ve always fancied a visit to Crete. Lovely photos, that view of the valley is quite something for a Norfolk boy… I love a good ruin, too (which is my justification for the state of my house) – they look amazing, so much wrapped up in them… and turtles!! ‘O-M-G’, I think they say, these days. Amazing!